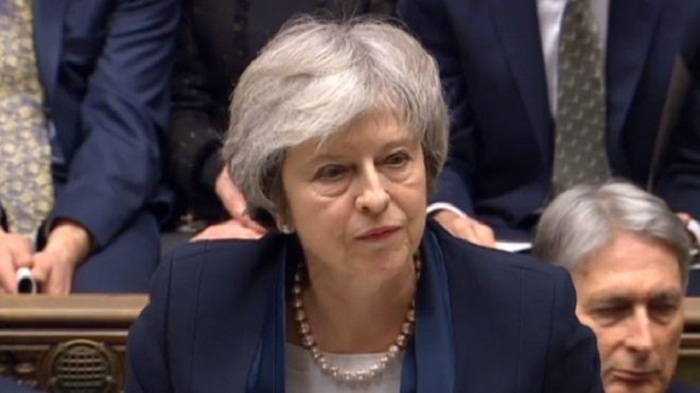 UK Prime Minister Theresa May's Brexit deal has been rejected by 230 votes - the largest defeat for a sitting government in history. Theresa May said she would make time for a debate on the motion on Wednesday. Corbyn said the confidence vote would allow the Commons to "give its verdict on the sheer incompetence of this government". A Democratic Unionist Party source has told the BBC's Laura Kuenssberg they will back Theresa May in a confidence vote. Some 118 Conservative MPs voted with the opposition parties against Theresa May's deal. But Theresa May signalled her intention to carry on in a statement immediately after the vote. President of the European Council, Donald Tusk, said he regretted the outcome of the vote and that he urged the UK government to "clarify its intentions with respect to its next steps as soon as possible".